Christian retail therapy is... Using our purchases to heal the marketplace, contribute in a substantive way to the needs of real people, and bring authentic value and beauty into our homes. Can jewelry fall under that category? Yes! Let me introduce you to My Saint My Hero, their mission, and their jewelry. And then let you tell me how deeply a purchase impacts the world. My first exposure to the jewelry from My Saint My Hero came when during a really difficult time this Summer. I was in the middle of a health crisis and struck hard by a new diagnosis. My brain was a fog, my body was drained, and my heart was so heavy. My dad and stepmom showed up in the middle of all that with a gift. That gift was a Hail Mary Morse Code Prayer Rope necklace from My Saint My Hero. (See it on my Instagram.) It was so pretty... but the "therapy" part of that gift went even deeper as their kindness reached into my loneliness and sorry and touched my heart with a gift of faith. Blessed Mother has my back... I know it. The Mission of My Saint My Hero is to transform the world one life at a time through the experience of being blessed and sharing that blessing with others. With your purchases, you are empowering women of Medjugorje through meaningful work – helping them rise above war-torn poverty with the dignity of their beautiful trade. Yeah... I can get behind that. And then I spotted the Holy Family Cuff bracelet and my feminine Catholic heart beat a little faster. Stunning! And when My Saint My Hero agreed to send me this beautiful piece to review, I stalked my mailman until it came! I don't wear a lot of jewelry and perhaps that's one reason why I so thoroughly enjoy wearing pieces that reflect more fully who I am as woman of faith. I love the outward testimony to goodness and beauty. And I love that it is a constant reminder to me that I am made for something more. "Three hearts woven together by the grace of everlasting love. The Sacred Heart of Jesus, the Immaculate Heart of Mary and the Pure Heart of Joseph represent the eternal love of family. 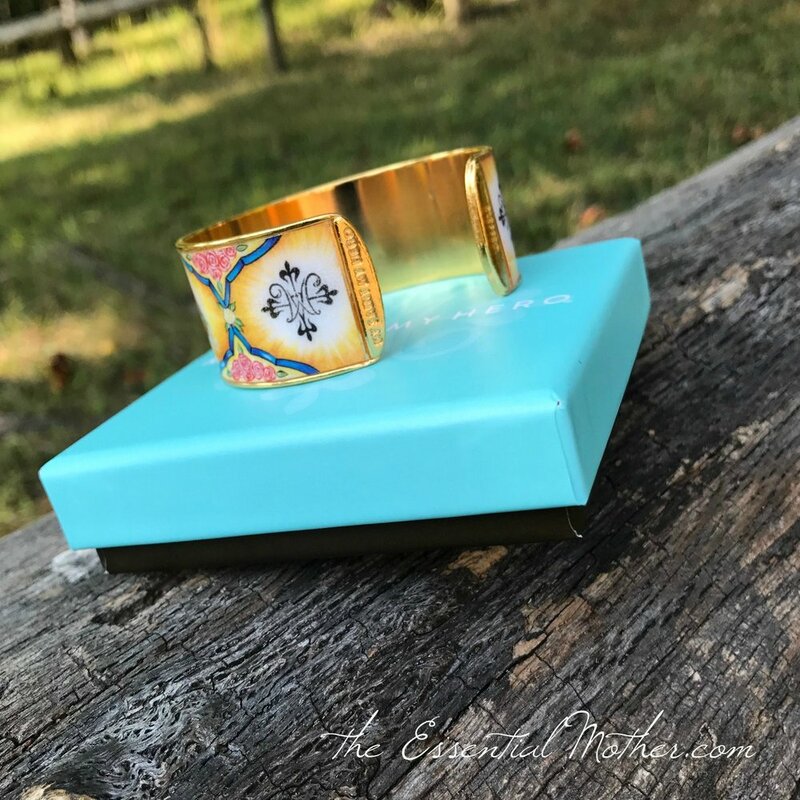 Wear this bracelet as a reminder that your heart is woven together with your family and through this divine union you are called to echo the eternal love of God." 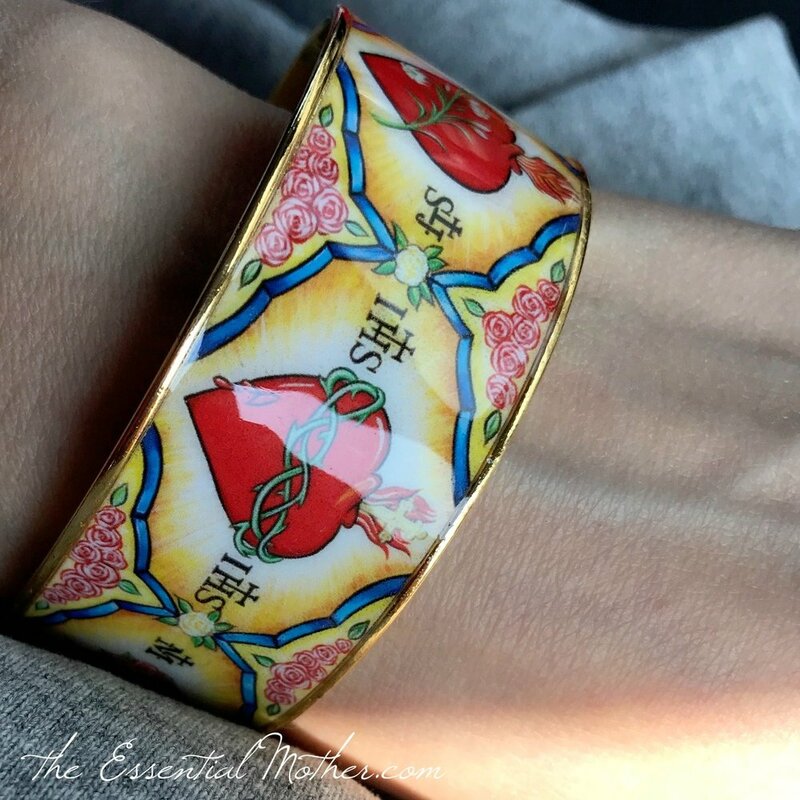 The Holy Family Cuff bracelet is so unique and beautiful. It is also very sturdy and has withstood the test of many sweet little fingers carrying it, stroking the smooth surface, and yes, dropping it! That is true retail therapy! 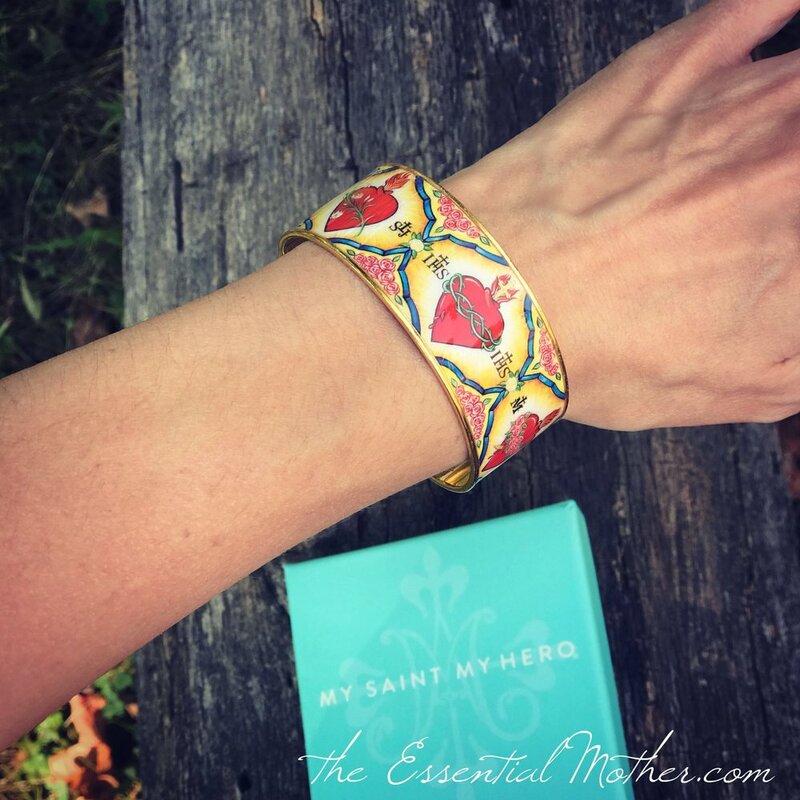 Purchase the Holy Family Cuff HERE and explore all of the fantastic offerings of My Saint My Hero. wearable blessings that remind us we are loved.